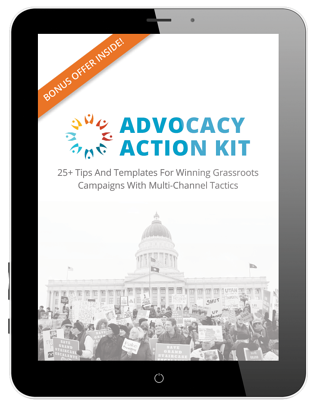 Execute your strategy with this Action Kit containing 25+ advocacy tips and templates for winning grassroots campaigns with multi-channel tactics! This Advocacy Action Kit will provide examples, templates, and best practices that you can use as inspiration for building your multi-channel grassroots advocacy campaign! Download the Advocacy Action Kit Now!